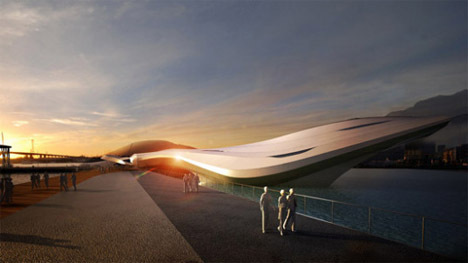 For those who think that the glory-days of boat-building are over, think again – for there are modern-day Brunels, eager to build the next generation of ocean-faring superstructures. 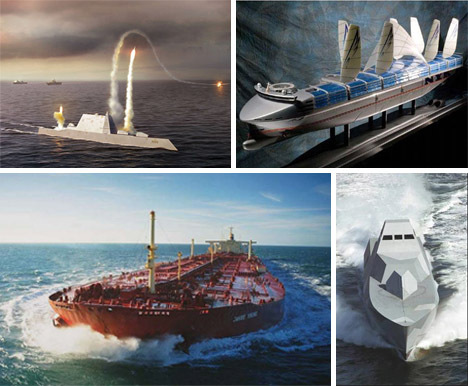 Here are 7 wondrous examples of epic modern ship design, from passenger liner to man o’ war, from staggeringly large to stealthily small – all demonstrating that when it comes to innovation, technology and breadth of ambition, the best designs are the ones making waves. Longer than the Eiffel Tower is tall, the Knock Nevis is a floating colossus with a fascinating history. 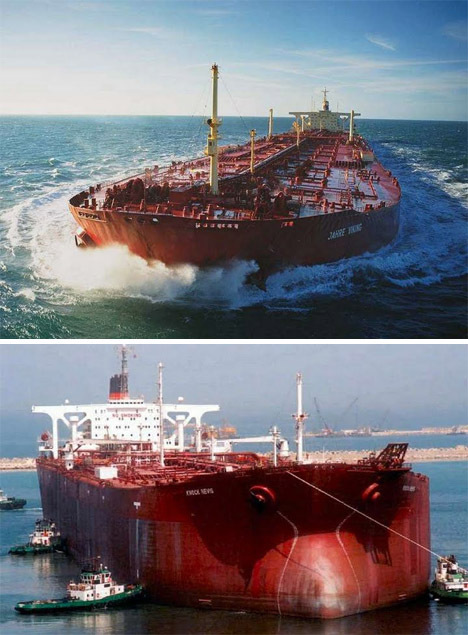 Originally built in a Japanese shipyard for a Greek owner who couldn’t take delivery, the ship has had multiple owners, endured three name-changes and, while being used as a storage ship by Iran in 1988, been bombed and sunk by Iraqi jets. Today this near-half-kilometer-long behemoth can be seen permanently moored at the Al Shaheen oil fields, Qatar, where (as the Knock Nevis) it is being used as an FPSO. 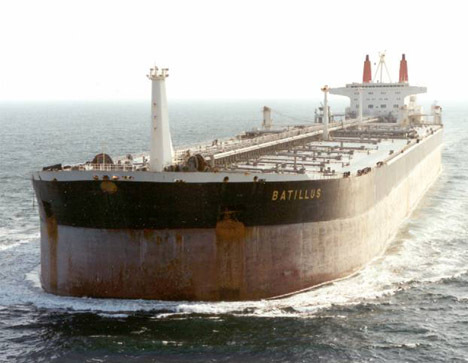 However, the title of Largest Ship In The World belongs to the Batillus-class supertankers of the late 1970s, each weighing in at around half a million tonnes deadweight. Massive they may have been, but all but one of these ships lasted less than a decade – the longest-lived was the Prairial, finally scrapped in Karachi in 2003. Fancy sailing the world’s oceans atop a skyscraper? 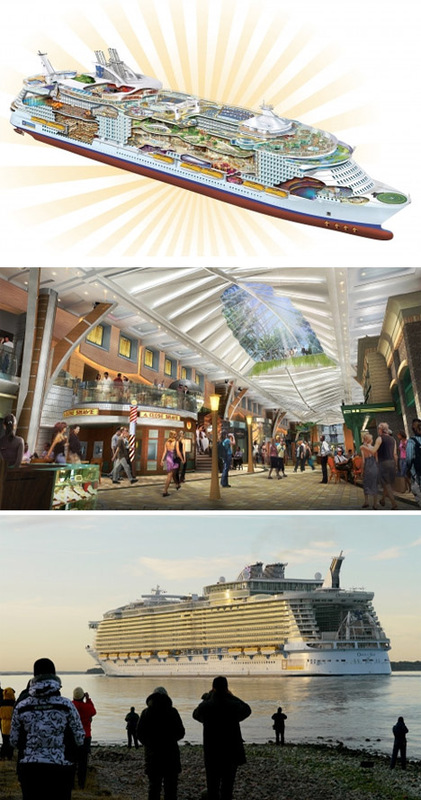 You’ll want to book passage on the Oasis of The Seas , the first in Royal Caribbean International’s new fleet of cruise ships…and the largest passenger vessel in the world. Launched from Finland last month, the OotS is currently heading towards Fort Lauderdale on its maiden voyage. 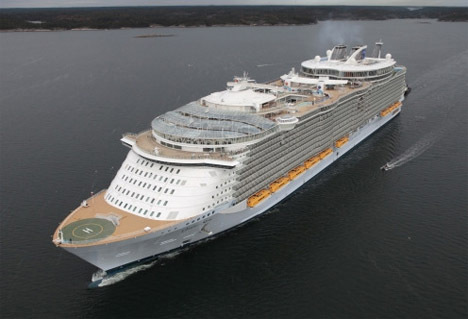 70 meters high, 360 meters long and a whopping 225,000 tons (that is over four times heavier than the Titanic), it offers its passengers an astounding variety of luxuries including two-storey apartments, a mini golf course and an indoor park. Cruise travel gone mad? 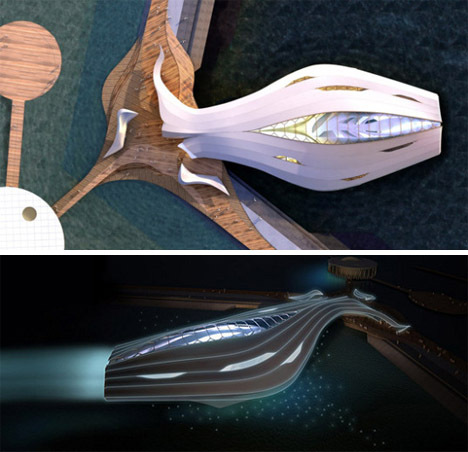 Attempting something a little eco-flashier is the Super Eco Ship 2030 (due to hit the seas in…well, have a guess). The ship is powered by hydrogen fuel cells and onboard solar and wind energy collectors – and with the help of a lightened, friction-reduced hull, the designed claim a 69% drop in carbon dioxide emissions compared with today’s container ships. Less a ship than a mindbogglingly huge chain of barges, the Freedom Ship is a vessel on a scale that even Roland Emmerich would raise an eyebrow at. 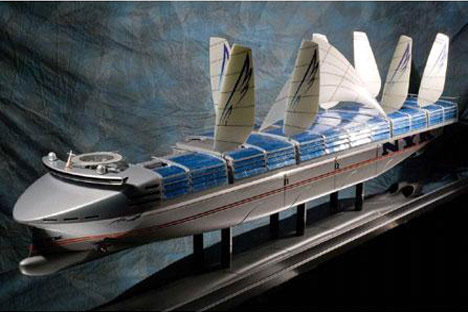 It would house over 60,000 passengers (maybe even up to 100,000 at a squeeze) and would contain everything a modern community needs – even its own airport, turboprop-only. Where is it now? Lost in a sea of blueprints, without publicized investors (and at an estimated price of $11 billion this project needs a lot of them) and the target of accusations of scamming. 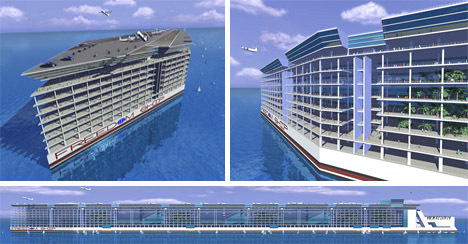 If completed, the Freedom Ship would cruise round the world – and we have to ask, what exactly is it like to ride out a tropical storm in an oversized barge? Dear modern sea-pirates: how would you feel if one of these sidled alongside your scurvy vessel and ordered you to drop anchor? 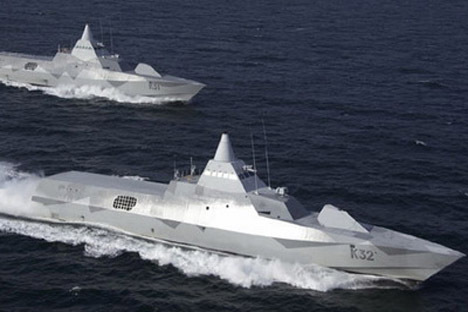 Meet the Visby-class stealth corvette, darling of the Swedish Navy. Gizmodo likens them to waterborne Star Destroyers, and we see their point. 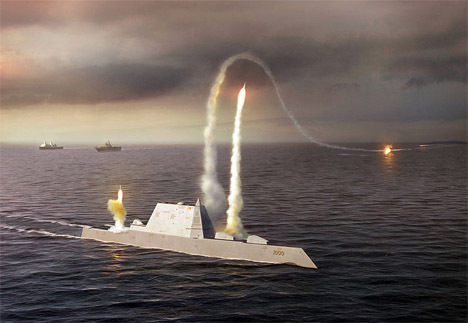 These warships are designed to sneak under the radar at any distance above 13 miles in calm seas, thanks to advanced materials in its armored cladding and a greatly dampened electromagnetic footprint – and once up close, its guns, missiles, depth charges, torpedoes and grenade launchers would be sure to get the attention of even the most heavily-armed ship of hijackers. …which would belie the truly formidable punch behind this hunter-killer, including an advanced gun system firing 10 rounds a minute to a range of 80 miles. 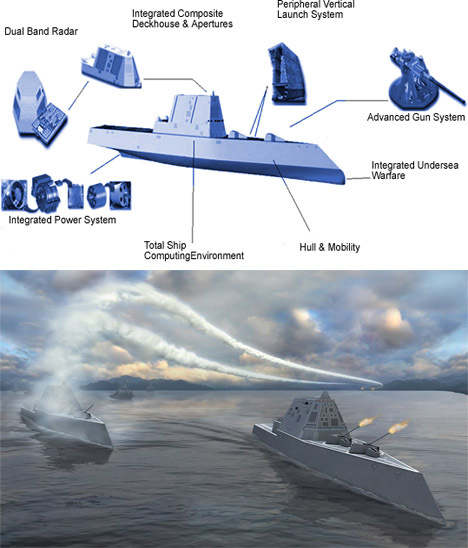 Guided missiles can also be flung out the well-protected vertical launch tubes – and it has even been suggested that railguns and lasers might make up its future arsenal. For now, its cutting-edge nature means that a number of key technologies have yet to be fully developed. In every sense, this is a ship of the future. …because once the show is over, it can be detached from the shoreline and sailed elsewhere, drawn behind a tug. It may not be self-powered, but a ship it most definitely is – and one that would be towed around the South Korean coastline to wherever it is needed. The possibilities are intriguing: how about a theater where the venue goes on tour with the company? And is this the start of shipping that has a dual role, embedded in the seaward sides of our cities to perform an entirely different service to the community?